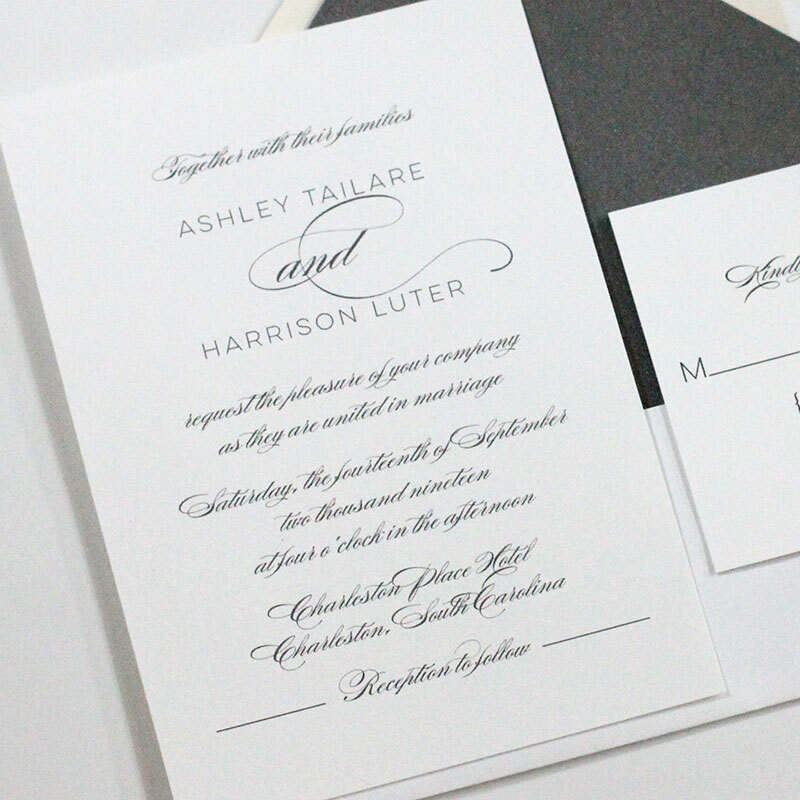 Meet our newest 2017 design: the Contemporary Wedding Invitation. 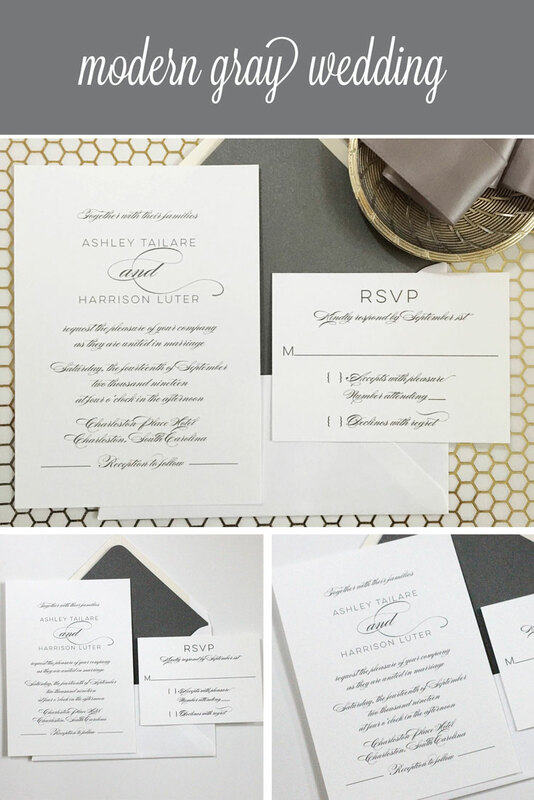 I absolutely love playing around with fonts and this design just has the perfect balance of a modern flair but also that romantic touch all wedding invitations should have. Shown here in gray printing on our gorgeous 120# slightly textured white stock.